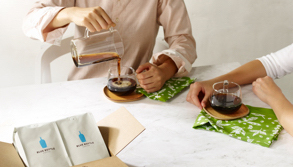 A simple method for brewing iced coffee, we love cold brew for its luminous clarity and electrifying zing. 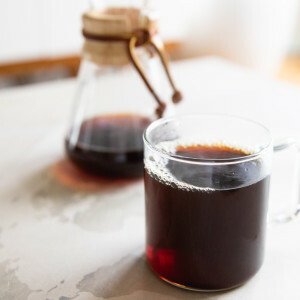 Simply add ground coffee and water, let it sit for eight to twelve hours in the refrigerator, then pour yourself a glass of crisp cold coffee directly from the spout. Weigh 55 grams of coffee and grind to medium-fine (about the size of granulated sugar). Twist to open filter, then add coffee to bottom compartment. Reattach top of filter. Twist the filter into the top of the bottle. 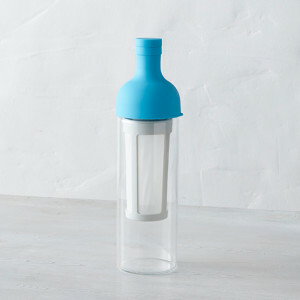 Attach filter and top of bottle to glass bottle base. Fill bottle to top square mark with cold, filtered water. Shake gently. Let brew for 8-12 hours. After 8-12 hours, gently shake to stir the coffee. Remove the filter. Place top of bottle back onto glass base, open spout, and pour over ice. Enjoy delicious cold brew. Store in refrigerator. Drink within 3 days. 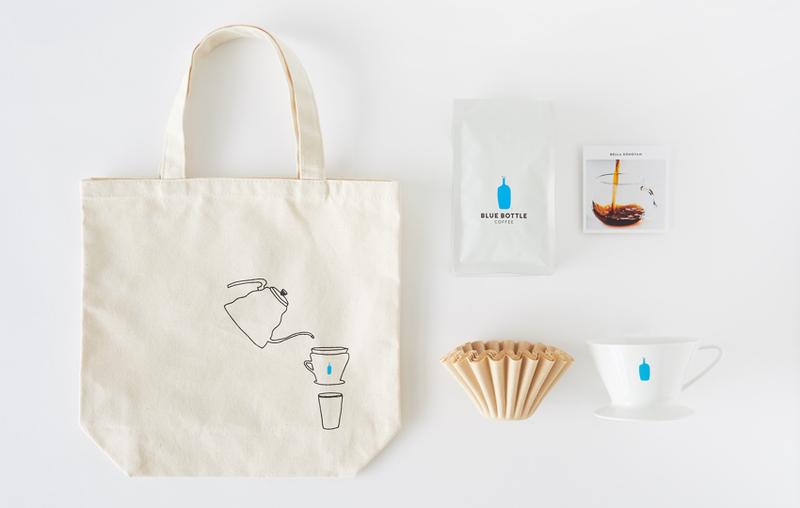 Empty the contents of your Blue Bottle Perfectly Ground envelope into the filter. Reattach top of filter. Twist the filter into the top of the bottle. Attach filter and top of bottle to glass bottle base. Fill bottle to top square mark with cold, filtered water. Shake gently.